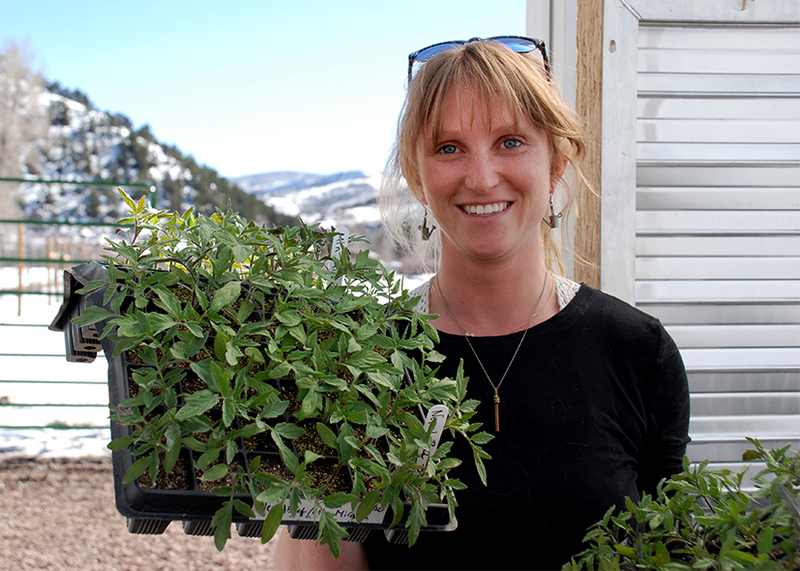 Two Roots Farm is poised to become the first certified organic producer of agricultural products on a Pitkin County Open Space and Trails property – the latest milestone for a program that now has 13 agricultural lease areas and more on the way. Two Roots was awarded a lease for two areas of Emma Open Space in early 2018. Growers Harper Kaufman and Christian La Bar produced roughly 30,000 pounds of vegetables at Emma last year after creating a fenced-in garden plot, installing a permanent irrigation system and erecting a hoop house. 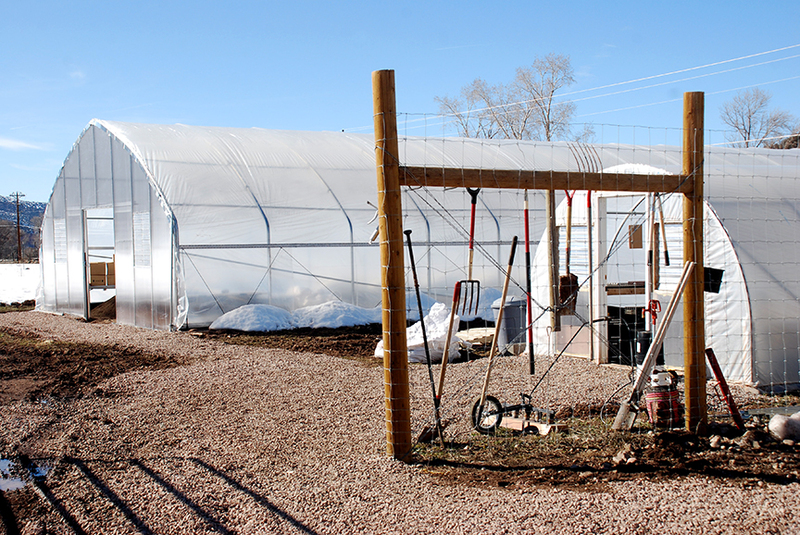 New this year, Two Roots has installed a second, larger hoop house and plans to expand the cultivated area within its outdoor garden plot. Kaufman and La Bar have also been working through the considerable paperwork required to be certified as an organic grower – an effort that requires documenting their ongoing use of all things organic, from compost and soil amendments to potting mix and even seeds. 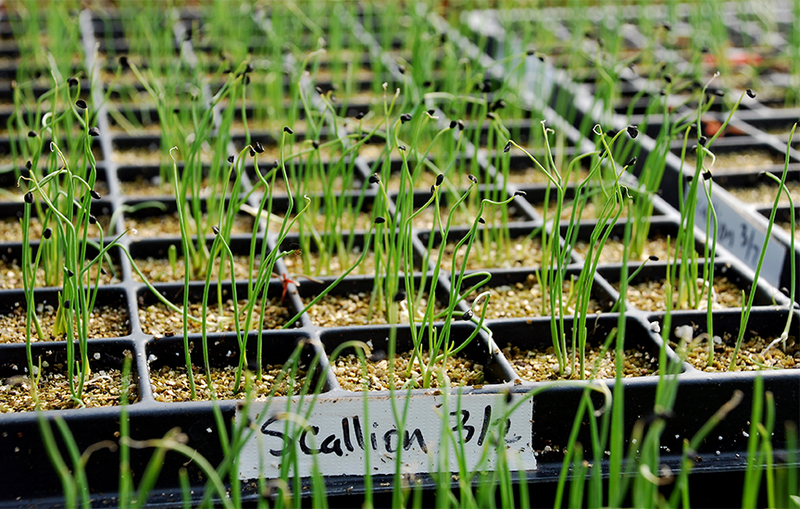 They hope to receive the USDA certification in June. Also this year, Pitkin County will erect a barn at Emma Open Space. It will fulfill a facility requirement, mandated by the Safety and Modernization Act starting in 2020, for producers of Two Roots’ scale. Provisions of the act include safe and adequate sanitary water and buildings that “facilitate maintenance and sanitary operations,” i.e. washable surfaces and adequate drainage. The goal is to have the barn ready for use by the end of 2019. Meanwhile, Kaufman and La Bar are busy starting this year’s crop of vegetables. Inside the smaller hoop house, roughly 128,000 seeds are already planted and most have sprouted. New this year, Two Roots will experiment with growing celery. Some crops, including tomatoes, peppers and squash, will be planted only once for the season, but others, including salad greens, radishes, turnips and beets, are planted weekly or every other week to keep up with demand. Two Roots occupies two of three lease areas at Emma Open Space, totaling 22 acres. A third area of 20 acres is leased to the adjacent Grange Ranch for its cattle operation. Emma Open Space, purchased in 2000, was the first significant agricultural property acquired by Pitkin County Open Space and Trails. The program has since added Cozy Point South Open Space, Thompson Creek Open Space, Grace-Shehi Meadows Open Space, Glassier Open Space, Wheatley Open Space and Lazy Glen Open Space to its agricultural holdings. Two recent purchases, Grace Open Space (10 acres) and a 35-acre pasture in Emma, could be integrated into the agricultural lease program. Currently, Cozy Point is irrigated for hay production, Thompson Creek is leased for cattle grazing and hay production, Grace-Shehi is the site of the Basalt Community Garden, Wheatley Open Space is being cultivated for potato crops and Lazy Glen is leased for cultivation and small-animal husbandry. Indoor mushroom cultivation and experiments in the cultivation of grapes and grains are ongoing at Lazy Glen, along with the raising of chickens and sheep. Glassier Open Space, with six separate lease areas, has been used primarily for cattle grazing and hay production, a commercial flower operation and, last season, a potato crop.